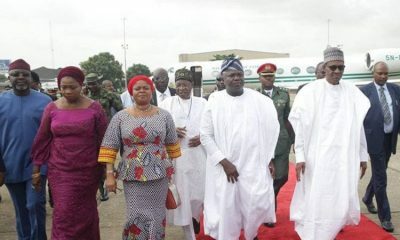 The National Convention committee of the ruling All Progressives Congress (APC)has been set up. 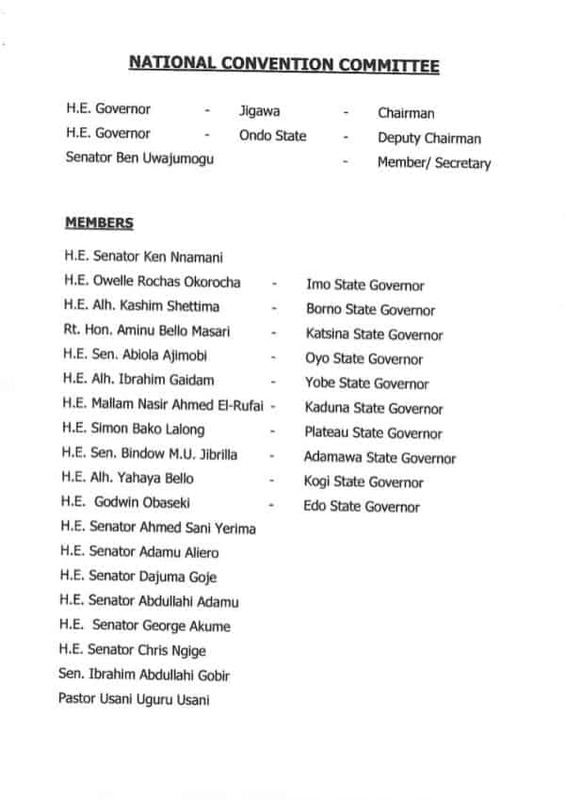 The members of the committee as signed in a statement by the National Organizing Secretary of the party, Osita Izunaso include Jigawa State governor, Badaru Abubakar as the Chairman, the Ondo State governor, Rotimi Akeredolu as his assistant and Senator Ben Uwajumogwu as the Secretary. 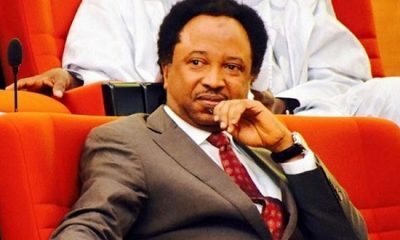 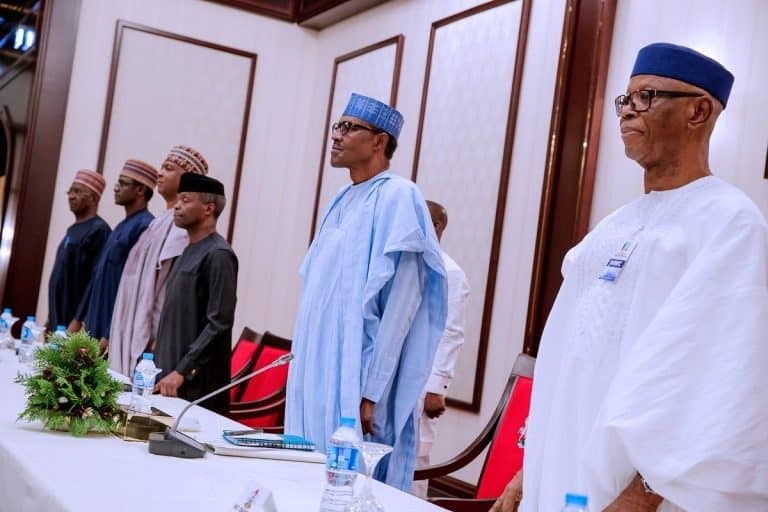 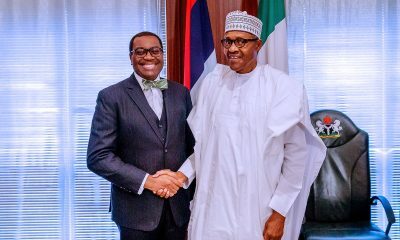 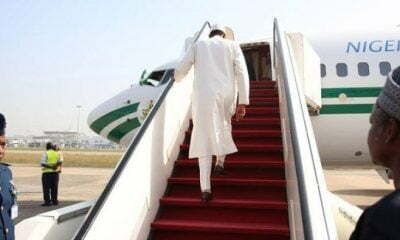 This decision to set up the convention commitee, follows President Muhammadu Buhari’s withdrawal of his support for second term of the current officials. 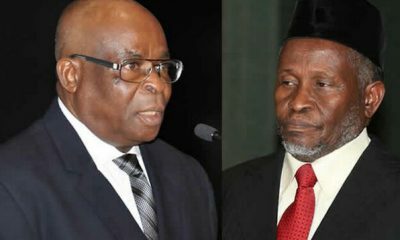 The president’s decision was to save the party from legal issues ahead of the 2019 general elections. 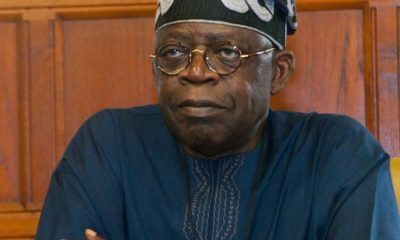 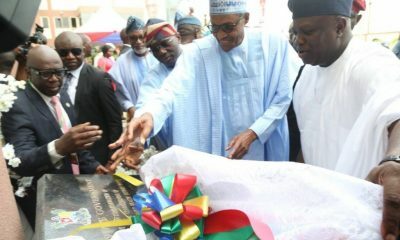 However, some see the move as part of efforts to pacify the party’s national leader, Bola Tinubu, who has not been in good terms with the national chairman, John Odigie-Oyegun, who was the prime beneficiary of the earlier tenure extension granted to the APC executives. 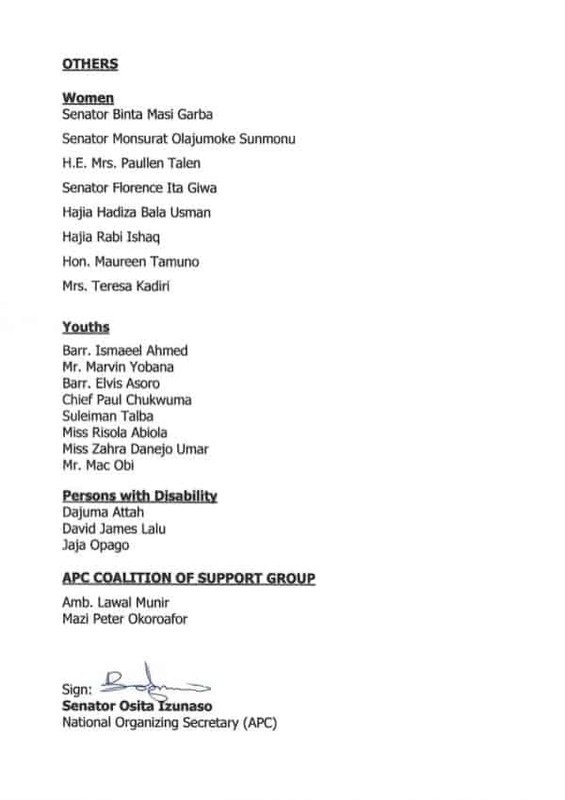 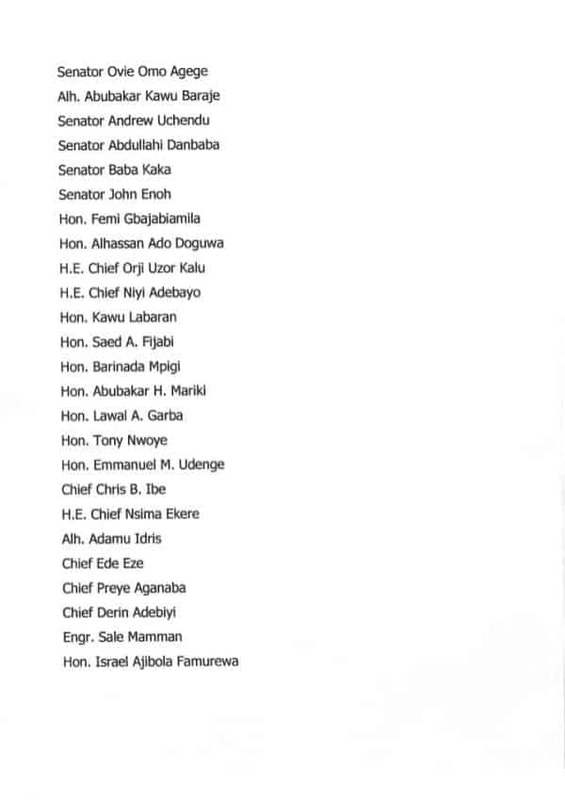 Below is the full list of committee members released by the party secretariat on Sunday. 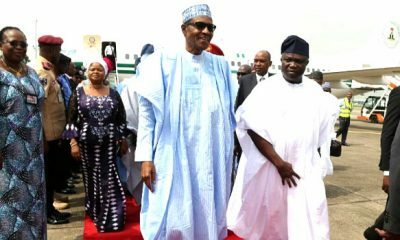 The All Progressives Congress (APC) elective convention is expected to hold before June 2018.